Le IAIN MAC ‘ILLE BHAIN (Nach Maireann). The following song should be of particular interest to our local readers; and it is possible there may be among them some who could favour us with notes about the author and the history of the incidents and personages referred to in it. 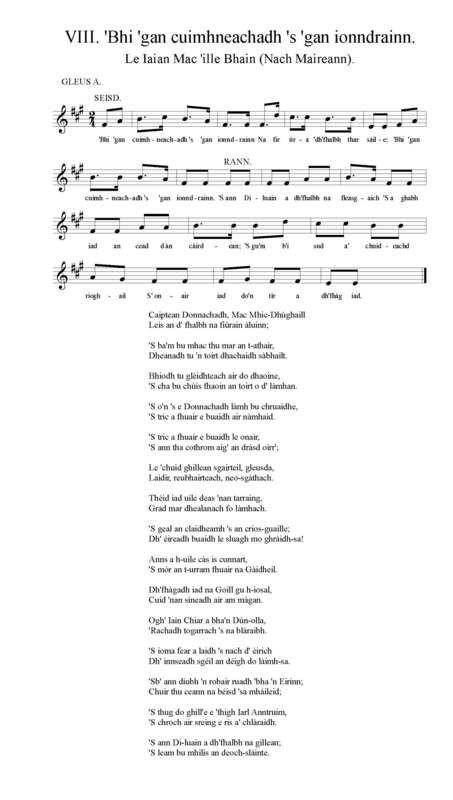 Twenty years ago it was frequently heard at Gaelic Concerts in Glasgow and Greenock. It takes a long time to sing it in its entirety as each couplet which forms the end of a verse, becomes the couplet which begins the next verse.